Thinking of setting up home network? 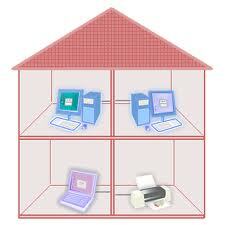 Or require your Broadband setting Up? You have come to the right place. Of course, security when using Wireless Networking is paramount, without being correctly configured a Wireless Network can be easy to access. We can test YOUR existing Wireless Networks security and advise on how to make it secure against Hackers and Virus attacks. An incorrectly configured network could mean anyone can access YOUR data very easily, Have YOUR Wireless Network checked now.